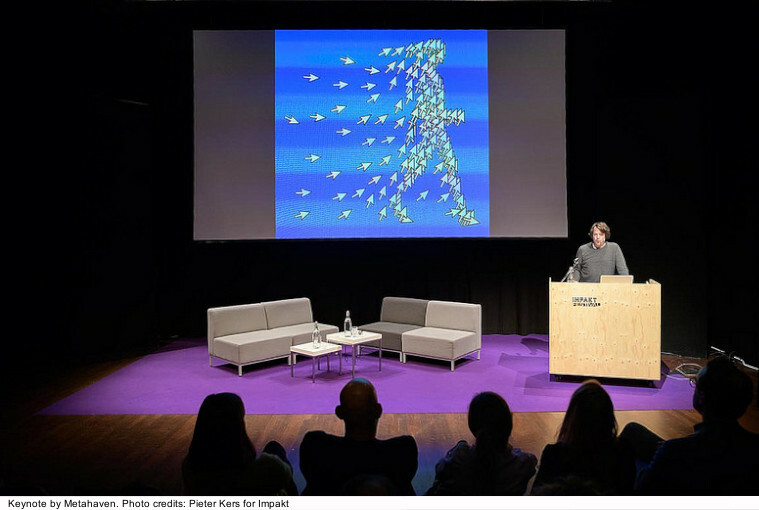 These urgent questions concerning our post-truth era, spoken by Impakt Festival founder Arjon Dunnewind, resonated through the Theaterzaal at Het Huis in Utrecht (NL) and introduced the theme of the Impakt Festival 2018. The questions as described by Dunnewind are further investigated by curators Luba Elliott (curator, researcher & consultant, specialised in creative applications of artificial intelligence), Yasemin Keskintepe (curator and researcher, examining the politics and poetics of the digital condition) & Alex Anikina (artist, researcher and film-maker, Assistant Lecturer in Film and the Audiovisual) through the role algorithms play in our society, resulting in a 4-day festival program of keynotes, panels, screenings, tours and a festival exhibition, named ALGORITHMIC SUPERSTRUCTURES. 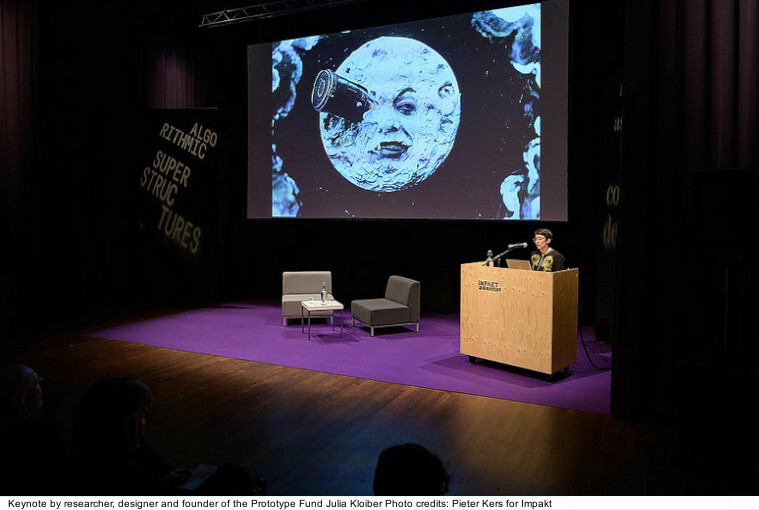 The festival theme is addressed as a metaphor, the curators explain, to be critically assessed by the audience, to provoke discussion by combining as many different views as possible, a format IMPAKT Festival has been successfully maintaining throughout the past years, critically reflecting on contemporary media culture. 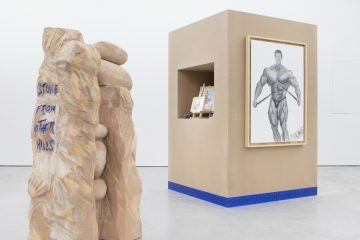 Resulting in partially newly commissioned works, the selected artists investigate the learning ability of the network and Artificial Intelligence (Constant Dullaart & Adam Harvey – Imagenet.xyz 2017, Coralie Vogelaar – Expressionist Drawings Created By An AI That Is Fed By Trolls 2018), design and visualise future network models (Paolo Cirio – Global Direct 2014 & Kyriaki Goni – Aegean Datahaven 2017), critically investigate or reflect on network power dynamics (Kara Vith – Twitter Getusertimeline  2016, Donna Verheijden – D.A.T.A. 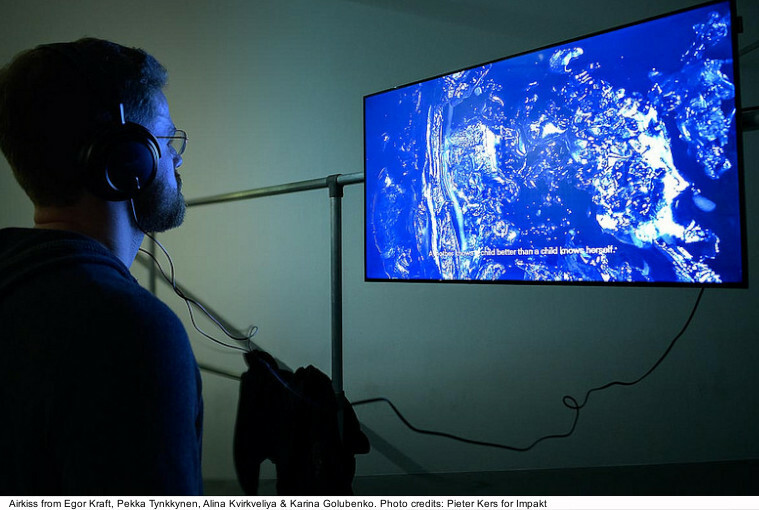 Dock 2018, Chloe Galibert-Laine & Kevin B. Lee – Bottles Songs 2018) visualise futuristic scenarios (Egor Kraft, Pekka Tynkkynen, Alina Kvirkveliya, Karina Golubenko – Air kiss 2017/2018) or use AI to generate datasets in a research on financial speculation (Anna Ridler – Mosaic Virus 2018). 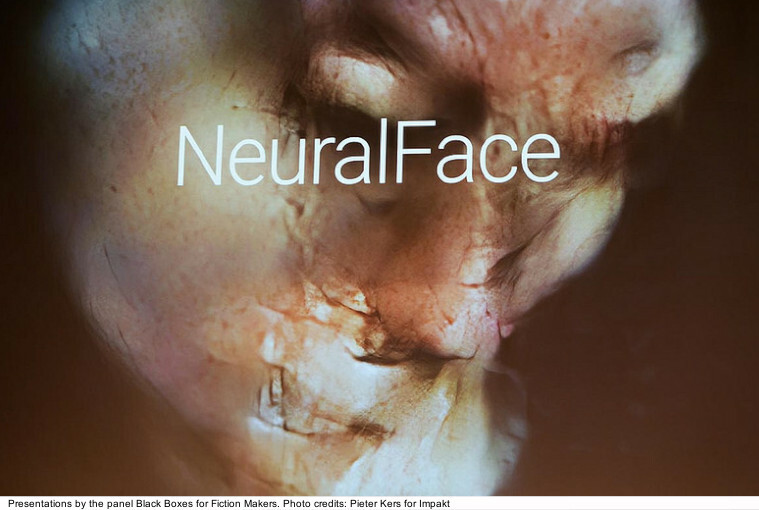 Stand out is Imagenet.xyz from Constant Dullaart & Adam Harvey in which Dullaart has retrained image recognition networks to include European artefacts, a project named EuroNet. The main question of EuroNet, as explained on the website, is whether Europe’s diverse cultural output can be represented within a dataset and if the network has the capacity to recognise what is deemed European. 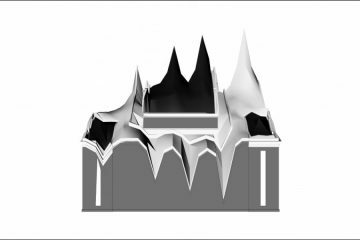 By illustrating the networks’ ability to draw out cultural bias, the work shows mechanised image interpretation’s understanding of Europe in 2017. 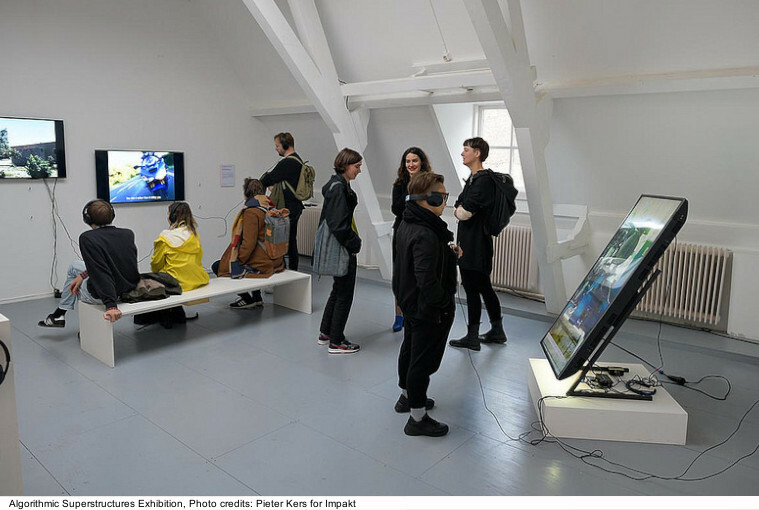 (Source: http://imagenet.xyz/ – EuroNet is a commissioned work by Victoria and Albert Museum for the 4017 Enacted exhibition and is open to visit online). Another stand out is Airkiss from Egor Kraft, Pekka Tynkkynen, Alina Kvirkveliya & Karina Golubenko, which is a four screen video-installation, offering a glimpse into a speculative future where citizens and artificial intelligence belong to the same collectivised system, rendering the state and corporate governance obsolete: a so-called parametric democracy. 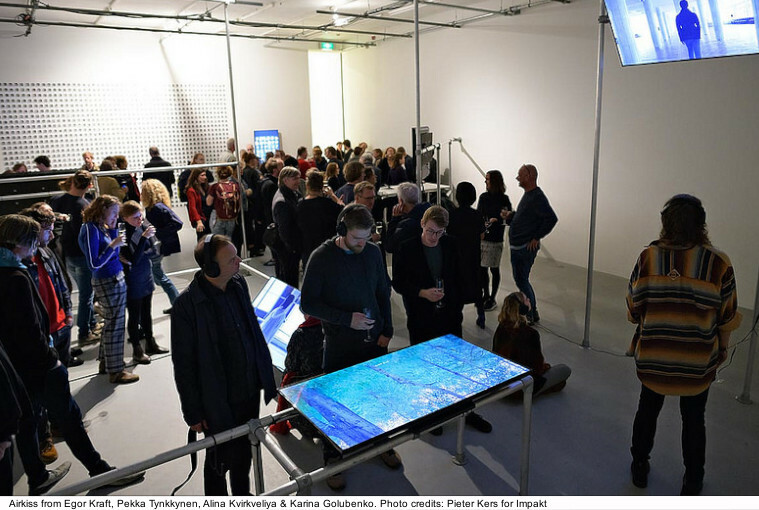 Where the artists actively engage with digital networks and algorithms in order to reflect on our current state and possible future scenarios, the keynote presenters and panels present more outspoken views on the digital condition. 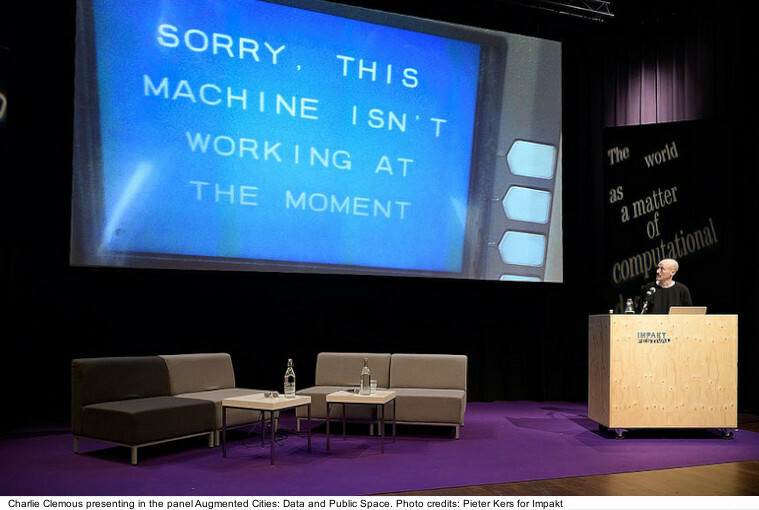 The festival kicked off with activist keynote speaker Adam Greenfield who openly advocates to pay more attention and resistance to the radical technologies that control and transform our daily lives and are redefining what it means to be human. According to Greenfield, we need to (re)claim our place in the future. The technologies Greenfield calls forth to resist are in a way embraced by the first panel of the festival, Black Boxes for Fiction Makers, where artists Mario Klingemann, Nicolas Maigret, Egor Kraft and Coralie Vogelaar presented the new forms of representation machine learning can enhance in contrast to the human’s lazy brain, putting their hopes in machines to show us something new. 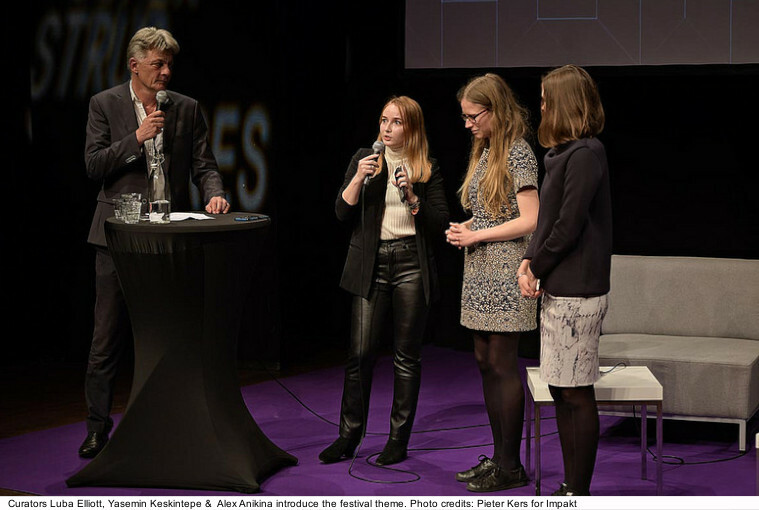 In the next panel, called Algorithms and Financial Speculation, researcher Inger Leemans, artist collective Demystification Committee and artist Anna Ridler (who’s work Mosaic Virus was also included in the exhibition) discuss high frequency trading, following its development from the early ages onwards. The discussion afterwards coined the interesting view whether the Ridler & the Demystification Committee were actually criticising or facilitating these financial speculations with their works but overall, the panel fell a bit short on a really interesting discussion around the topic. Second keynote speaker Julia Kloiber, researcher, designer and founder of the Prototype Fund, clearly calls out for digital optimism: for new narratives & new visions which hopefully become self-fulfilling prophecies, openly opposing Greenfield (according to Kloiber, technology is not so mystical at all) and keynote speaker Evgeny Morozov later on. Who owns augmented space? is the question posed in the panel Augmented Cities: Data and Public Space (lectures by curator and researcher Judith Bihr, writer, editor and podcaster Charlie Clemous and Professor of Public Innovation Albert Meijer), showing that the battle of claiming, intervening and uncovering power structures of augmented public space already started in 2010, even showing some examples of augmented vandalism. Keynote speaker of the third festival day Evegny Morozov, renowned writer, researcher, internet critic and very self-aware of the fact that he often leaves the audience lingering in a negative state, added up to Greenfield’s view by actively drawing attention towards the real motives behind big data: players like Tesla, IBM & Google and of course, he left without giving the positive note he promised earlier in his speech. But it’s the type of contrasting view which is needed in dealing with certain digital issues. In the panel (Infra)structures of Trust the question of sovereignty in computational design influencing diverse social fields was addressed by developer Jaromil, strategist Arnaud Castaignet & artist, activist and researcher Paolo Cirio. Cirio presented his work Global Direct (2014) which was included in the festival’s exhibition. Influenced by his previous projects and how it occurred to him that we have hardly any agency over the decisions institutions make, Cirio started to think of a political philosophy that could become a global democracy. 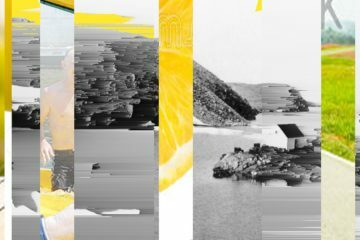 Global Direct, according to Cirio, turns globalisation and technology into an opportunity: it can be seen as a political party or movement but actually is an utopia of the internet. On the official last day of the festival, open source research collective Bellingcat represented by founder Eliot Higgins, took over, showing its civilian service to investigate the truth (whatever this may mean in this post-truth era) through open source online resources, putting transparency and accountability up for discussion but also showing how journalism can adapt to this new conditions and even prove to be of high value to certain law cases (this is also very much reflected in the work of Turner prize candidate Forensic Architecture). 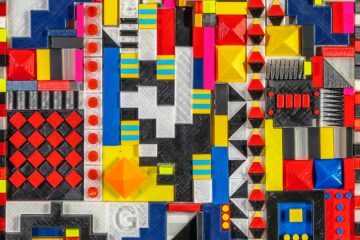 Very cleverly programmed as closing keynote speaker is Daniel van der Velden from design-, research- & artist-collective Metahaven, currently exhibiting their solo-exhibition EARTH in the Stedelijk Museum Amsterdam. Where former keynote speakers formed critical views pro or con technology, Metahaven is working right through it with their stream of associative images and texts, not giving a lecture on digital power dynamics and post-truth worries but going right through the middle of its alienating workings, an unconscious stream of internet, full on in the experience of the digital condition itself, visually being the sum of everything previously discussed without any judgement, or is there? In order to proceed, should we become digital activists, digital ambassadors or just observe and accept our fate, if we believe it’s digitally doomed at all? Is there more beyond the worrying thoughts from Greenfield & Morozov, can we go past the seemingly naivety of Kloiber while obtaining her fresh vision? It’s exactly at this point where IMPAKT Festival comes in. The festival is not merely the presentation of digitally oriented artworks and talks but moreover the discussion and buzz it creates in between the combination of all of its programs, actively inviting different views, whether positive, negative, provoking or traditional. Never judging on its presenters or artists but still carefully selecting its guests and above all always expecting more from its audience than only to listen, urging them to think and speak up. We need a much bigger Impakt.